This chicken salad is so delicious, you'd never think it was a "light" recipe, but it has fewer calories and less fat than the traditional, mayo-laden kind. The secret? Swapping non-fat Greek yogurt for the mayonnaise and adding a flavorful, tangy honey mustard. 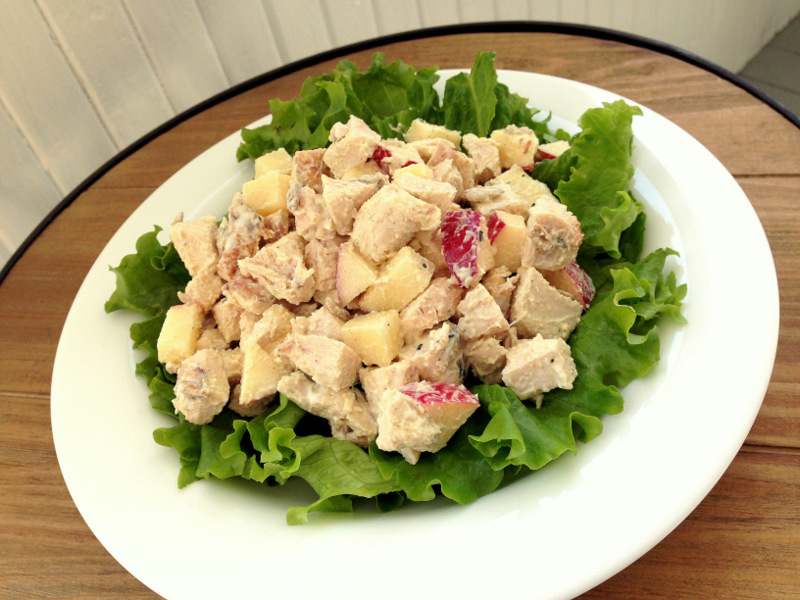 Additionally, diced apples give this chicken salad a sweet flavor boost and sunflower seeds add a little bit of crunch. This chicken salad is so delicious, you'd never think it was a "light" recipe, but it has fewer calories and less fat than the traditional, mayo-laden kind. The secret? Swapping non-fat Greek yogurt for the mayonnaise and adding a flavorful, tangy honey mustard. Additionally, diced apples give this chicken salad a sweet flavor boost and sunflower seeds add a little bit of crunch. Just combine the ingredients in a bowl and mix well. Spread the chicken salad between two slices of whole-grain bread or add a big scoop on top of some mixed greens for a quick and easy meal! Direction: Combine all ingredients in a bowl. Serve immediately.